With quality work clothes and footwear, fishing, archery and hunting supplies and a full gun pro shop, Alachua Farm & Lumber in Alachua, FL is the only outfitter you need. We are a gun dealer for Beretta, Benelli, Remington, Browning, Ruger, Henry and more. Our store has an archery bow tech on site at all times and an archery range available for sighting bows. We have kayaks and paddle boards for recreation on the water as well as Yeti Coolers, Green Egg Grills and fish fryers for the catch of the day. For more information on specific product categories, click the links below. We’ve got you covered from head to toe. Come check out our huge selection of work gear. It’s sturdy and proven to last — perfect for every task, whether you’re a builder, farmer or a weekend warrior. We know that you’ll find boots to suit all your needs. If your perfect work boot is not in stock, we’ll order it for you. If high-quality jeans are what you’re looking for, then Alachua Farm & Lumber is the place to find them. Sure, we carry some of the same brands as other retailers, but we also carry extra-sturdy Wrangler and Carhartt jeans that mean business. We also have a selection of hunting apparel, including camouflage for him, her and the kids. Fishing fans will find the best in vests, pants, waders and hats. For all you horse lovers out there, we have a full line of western apparel that ranges from boots and gear to shirts, belts, jeans, gloves, hats and more. Men’s Button Up Shirts include: Wrangler, Columbia, Browning, etc. If you don’t find the brand you’re looking for listed here, give us a call at 386-462-3003 and we’ll help you find it. From live bait and tackle to boating accessories and everything in-between, Alachua Farm and Lumber is a one-stop-shop for your fishing needs. Costa del Mar sunglasses, Yeti Coolers, and high performance Okuma products — we have the products and brands that you need for that perfect fishing trip. If fishing is your passion, then cast away your cares and let’s go fishing. We have everything you need for a great family fishing experience. We take pride in having an extensive gun pro shop, with more than 500 guns in stock. In addition to guns, we have a huge selection of accessories that are sure to improve your hunting. From scopes to knives to flashlights, we carry what you need to get your game. With more than 500 guns in stock, it’s hard to list every brand we carry. We are a dealer for Beretta, Benelli, Remington and more. 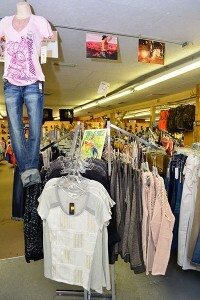 The best thing for you to do is come into the store and check out our wide selection. We’ll be sure to find the gun that’s right for you. Our line of ammo and accessories can’t be beat. Here are just some items we have in stock. And, if it’s not in stock, we can probably get it for you. 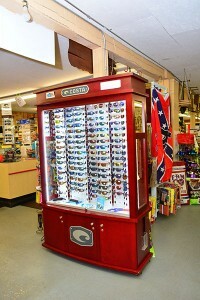 Alachua Farm and Lumber wants to be your #1 source for your guns, ammo and accessories. You’ll also be able to find a gun safe that suits your needs. With brands like Winchester, you can be sure that your guns, jewelry and other valuables are protected against theft. Alachua Farm & Lumber is North Central Florida’s number one supplier of all your hunting and archery supplies. We’ll find you the right broadhead or bow to make every hunting trip a good one. Whether you’re hunting deer, hogs, squirrels or turkeys, you’ll find that our knowledgeable staff will help you find the perfect firearm, archery equipment or accessory to help you bag the game of your choice. Plus, we have a selection of hunting apparel, including camouflage for him, her and the kids that will help keep you safe, cool (or warm) and dry. We even do what we can to make sure the old pooch is safe and sound. For those of you who take your dog out hunting with you, you know that one wrong encounter with a hog can be life threatening to your hound. That’s why we have Southern Cross-brand dog vests and collars that he can wear when you go hog hunting. We also have Garmin and Quicktrack GPS systems that allow you to know exactly where your dog is while you’re on the hunt. We’re so confident in our bow selection and expertise of our archery department staff that we refuse to sell you a bow unless it’s the perfect one for you. We take time to fit you with the right bow that will suit your hunting needs. After all, there’s no point in selling you the most expensive bow that you’ll never use. Our store has an archery bow tech on site at all times and an archery range available for sighting bows. We want you to use your bows, kill your game and come back for more. And when your friends compare their game to yours, you can feel free to send them our way…that’s the best compliment we can get! When you come to Alachua Farm and Lumber, we’ll have you shoot different bows in our indoor range. There, we can measure your draw length and ask you questions that help us to determine what’s right for you. Your satisfaction and safety is so important to us that we’ll even set up a bow that you purchased somewhere else. We tune all bows for as little as $15. Horse owners and livestock breeders will find all the equestrian and livestock supplies they need for their animals including feed. If you need lumber, look no further for wood and hardware.